Calling the microbiome! 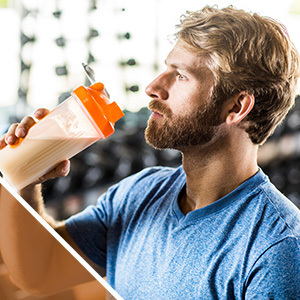 Gut health begins with healthy nutrition — learn what you can do to get a better workout without GI distress! 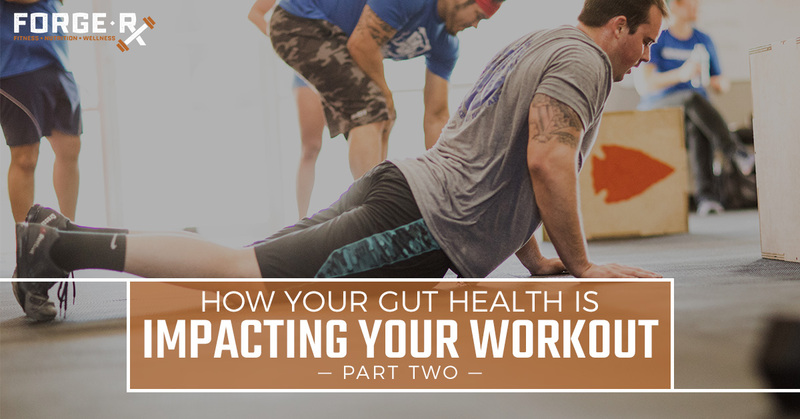 In part one, we talked about how your gut health can impact your workout and begin to dive into the microbiome. In today’s post, well continue the conversation and touch more on the microbiome and give you tangible ways to improve your gut health for a stellar workout. At Forge-RX, we recognize that to meet your fitness goals, both movement and nutrition play a vital role in getting there. Partner with us in your fitness and nutrition journey, and learn more about the microbiome below! The microbiome plays a crucial role in wellness, which is why healthy eating is always encouraged. When the bacteria balance becomes unbalanced, our gut, among other things, suffers. Read more about the importance of the microbiome. What Is the Role of the Microbiome? Your microbiome can affect a large number of biological processes, not only your gut. Because its involved in so many operations, it’s essentially an organ we never knew we had until recent! We know that a large part of our microbiome is in our gut as some of the bacteria we have help produce enzymes that support digestion and recently much research has been focused on our gut-brain access (GBA) and the role it plays with our brain chemistry and central nervous system in the ways we react to stress, memory, and anxiety. If you’ve paid any attention to commercials or the buzzword probiotics, you know that these are the little bugs that inhabit your body and go by names such as Lactobacillus and Bifidobacterium. Most of the microbiome is composed throughout your intestines, but a large colony exists in your large intestine. Not only will your nutrition influence the composition of the bugs in your gut, but recently it’s been found that the bacteria can actually influence the nutritional value of food by how it is — or isn’t — digested. The microbiome is a diverse ecosystem that supports our body in many different ways, including how we feel and function during a workout. And, there are things you can do to positively affect your microbiome and the good bacteria within it to feel better all around — mentally, physically, and emotionally. To avoid GI upset during your workout, try adjusting when you eat and what you eat beforehand. Try and avoid high-fiber foods within a four-hour window before your workout. If you eat a snack ranging from 100 to 200 calories, give yourself an hour to digest. Give yourself a couple of hours to digest if you eat more than 300 calories. Avoid consuming highly acidic food and drink such as citrus, tomatoes, soda, or coffee. There are many beneficial and preventative measures you can take to support your gut health that translates to a better workout for you. Maintain a healthy diet (more whole foods and less junk food). Focus on foods that your gut loves (fermented foods, dark leafy greens, sweet potatoes, whole-grains). Our gut, and microbiome for that matter, is like another organ and it influences how we feel which can impact a variety of areas in our lives, including when and how we work out. If you’re looking for one way to improve your fitness performance, perhaps addressing you gut health is the missing link! To learn more about nutrition and healthy eating habits in addition to getting your sweat on in our gym, connect with us today for more information.